Let us help you build strategic plans and map processes for your business so you can increase your revenue, impact, and reach! Our clients have more time, are less overwhelmed and most importantly, have the clarity and mental space needed to work on their business. The Palmerton Strategy was created after seeing small business owners struggle to balance personal responsibilities and growing their business. We use a holistic yet strategic approach to identify and provide solutions to challenges around strategic planning, project management, process improvement and productivity. 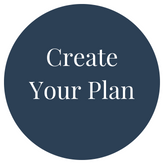 Our strategic plans give you the foundation needed to take intentional daily initiative towards your overarching long term plans and immediate goals. Your vision is the anchor based on your company’s mission and values, and is used to drive all business activities. We have successfully created a process that provides resources and education that lasts beyond your time with The Palmerton Group.